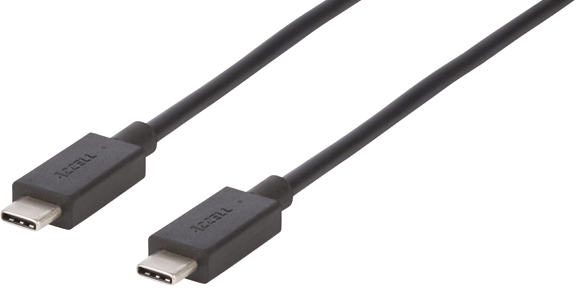 The Accell USB-C to C USB 2.0 Cable allows easy connection between your USB-C (also known as Type-C) host computer and USB-C device. With reversible USB-C connectors the cable connection works in either direction. Able to charge, transfer data to and power a connected device, the USB-C to C cable with ultra-compact connectors is incredibly powerful.